The introduction of restrictions has not played anyone on the hand, the head of the state. Russia will take retaliatory sanctions if the EU lifted its restrictions in agriculture. This was stated by Russian President Vladimir Putin at a meeting with the head of the delegation of French politicians, the President of the Association "Franco-Russian dialogue" Thierry Mariani. "My answer does not please the farmers, our Russian, but I have to tell you that if the European sanctions are lifted, then, of course, we will be forced to take retaliatory measures, because it is not the original reasons why they were introduced", — said the head of state. 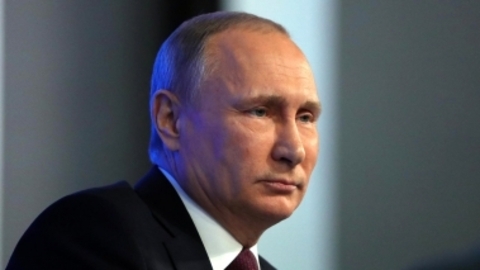 According to Putin, the imposition of sanctions has not played anyone on hand, although he acknowledged that restriction became the impetus that helped domestic producers to develop their market. The Russian President recalled that Russia took first place in the world in wheat exports, overtaking the United States and Canada. The same thing, he said, for poultry and pork. "Our task now is to expand its presence in the Chinese market, that is, we put their needs", — said Putin. Speaking about possible cancellation of counter-sanctions, the President of the Russian Federation stressed that foreign producers will be is difficult to regain their former position. "But, of course, in General, it deals only the damage these crazy economic relations tainted by political considerations or damaged with the use of policy instruments such as unfair competition, ultimately to the detriment of all", — he said, referring to the IMF and the WTO. Разрешается частичное или полное использование материалов Agro2b.ru при условии обязательной активной ссылки на первоисточник.